In his televised address to the nation, PM said that although his resignation carries a formal nature, the moment is actually emotional, “because with this we recap yet another phase of our revolution and we enter an entirely new time period”. 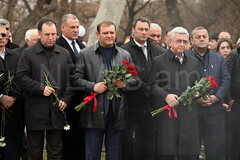 Later in the day President Armen Sarkissian accepted the resignation of the Cabinet. If new Armenian PM is not elected during the two weeks, the parliament will be dissolved. Armenia will have to hold snap parliamentary elections in early December. Russian border guards apprehended four trespassers on the Armenia-Turkey border on October 15-16. A group of four, allegedly natives of South Asia, was detained during an attempt to illegal cross the state border at night. The harsh reality is that any settlement of the Karabakh conflict is going to require the return of some portion “of the occupied territories”, outgoing U.S. Ambassador to Armenia Richard Mills said in an interview with EVN Report. 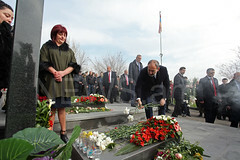 The statement made a fuss in the Armenia media and was commented both by the Armenian officials and representatives of the Armenian community. In particular, Executive Director of the Armenian National Committee of America Aram Hamparian called diplomat’s remarks “reckless”. “Sadly, his was a tenure marked by moving goalposts and missed opportunities. Too many lectures, too little action. 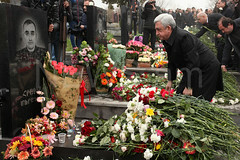 And no U.S.-Armenia Tax Treaty”, he said. Meanwhile, PM Pashinyan said one can consider the statement from the departing US ambassador as a statement from a departing ambassador, and reiterated Armenia’s position on Karabakh. Official opening of TUMO center took place in Paris on Tuesday. Acting Armenia's education minister Arayik Harutyunyan participated in the opening of the Paris branch. In his speech, the Armenian official said similar branches will open in Moscow, Berlin and other European capital cities. Tourists visiting Armenia last year spent $1.120 billion, World Tourism Organization (UNWTO) reported. According to the report, 1,495 million tourists visited Armenia in 2017. Armenia beat Macedonia 4-0 in the fourth round of their UEFA Nations League group matches. The victory comes after a surprise defeat by Gibraltar and made fans happy. The Armenian national football squad and their fans celebrated this win at the stadium in Armenia’s capital city of Yerevan. In their previous two Nations League games, however, Armenia had lost to Macedonia, by a score of 0-2, and to Gibraltar, by a score of 0-1.